If one were to go by the draft Indian Medical council amendment bill 2016, introduced by Union Minister for Health and Family Welfare, Mr. JP Nadda in Lok Sabha on July 19, 2016, the year 2017 looks highly promising to students who are currently pursuing their medicine studies in various countries abroad and those who are seriously contemplating about taking up medicine studies abroad. Let us see how. To put it simply , the draft Indian medical council amendment bill 2016, makes it mandatory for all students, irrespective of whether they have studied medicine in India or abroad to sit for an national Exit test (NEXT) after completing their five and a half year medicine course, whereas, till now, such a test was only mandatory for foreign educated medicine graduates in the form of foreign medical graduate exam (FMGE), which they had to clear to practice in India. Such a practice was seen to having a discouraging effect on many talented young men and women on exercising the option of pursuing medicine studies at top medical universities in Europe and south East Asia after failing to gain entry to a medical college in the country through the entrance exam route. 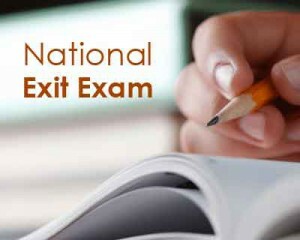 This amendment is being widely perceived by many as one that creates a level playing field, whereby all medicine graduates are treated at par and their suitability for the medicine profession is tested through a uniform test called National exit test (NEXT) which also does away with the complex practice of conducting multiple test like the NEET for postgraduate study, recruitment test for central health services and the (FMGE) exam which is held for Foreign educated medicine graduates and is expected to provide medicine study aspirants, options to seek admissions to reputed WHO listed medical institutions in Malaysia Philippines, China, and European countries like Bulgaria, Ukraine, Russia, Hungary, Latvia, Lithuania, Romania, Serbia, Azerbaijan etc and after clearing the NEXT or the National exit exam, become part of the Indian medical system, which is expected to go a long way in ensuring that students with the right education , skill and exposure armed with a highly rated international medical degree would enter this noble profession which is expected to make a significant change in our health care domain and to a large extend help in tackling the huge shortage of Doctors, which is over 500,000 doctors, based on the World Health Organization (WHO) norm of 1:1,000 populations). This entry was posted in National exit on January 2, 2017 by Ronnie Fredrick Thimothy.